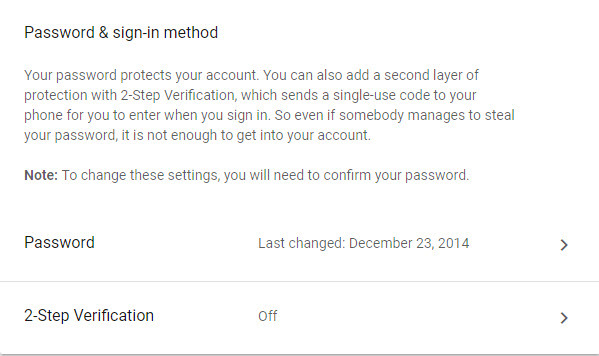 First, create an account with Gmail at http://gmail.com or login into your Gmail account if it is already setup. 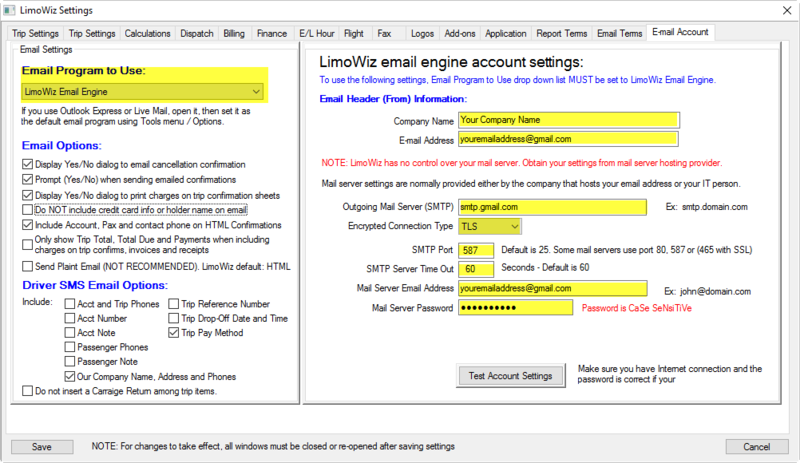 Go into LimoWiz Settings, click Email Account tab. Select LimoWiz Email Engine – Send Only from the Email Program to Use options. Click the first three check boxes as shown on screen shot below. Email Address: your FULL Gmail Address ( same as above). Click Test Account Settings button. NOTE: Make sure the email address in the Email header is the same as the email address in the mail server settings. This is due to stricter email policies by email system providers.